Top & Bottom labeling can be required on a variety of different product packaging from jars to cartons to various industrial products, but it is most often that the application of the bottom label that determines the product handling and control system necessary. Application of a label to the bottom of a product, container or package is specifically dependent upon the shape and transport stability of the item to be labeled. 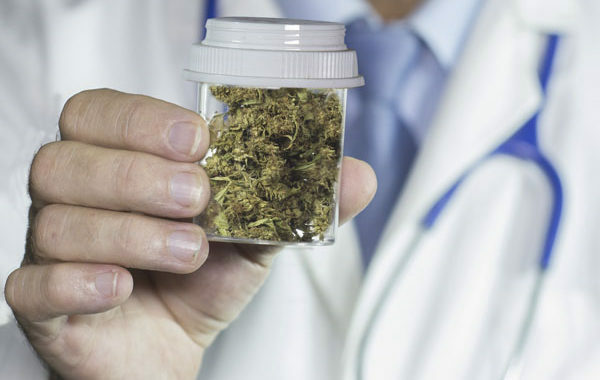 Items that are dynamically unstable while being transported, such as a tall narrow jar, must be positively controlled while being held by specifically tailored devices on their sides. In such cases a set of opposing soft “hugger” belts can be used to trap the item and move it across an area that is open to below so the label can be applied to the bottom of each individual unit. Alternatively, a long flat piece of flooring trim is by its nature absolutely stable as it moves along a conveyor and would not require such side control devices. In the case of such stable products a label to be applied to the bottom of the piece can simply be fed up from beneath the product through a small gap between two co-speed conveyors. 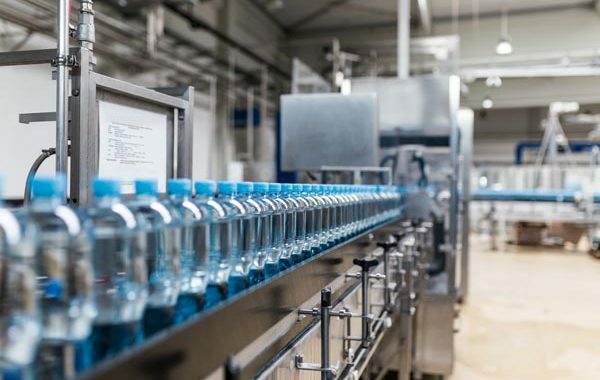 Invariably the product itself determines which approach to product handling must be employed in order to achieve maximum throughput and system flexibility. When labels are required on both top and bottom a second labeling head can usually be easily added above the transport device to make the application of the second, top, label. 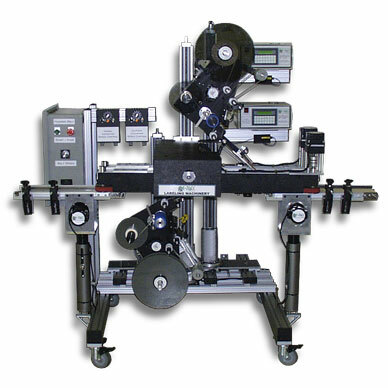 Top & Bottom labeling systems with two different types of product handling systems to fit a broad range of products and line speeds. What is a “Top and Bottom Labeler” and is it what you need? 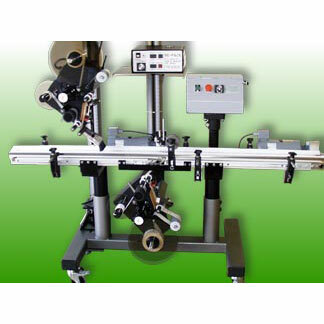 A Top & Bottom Labeling System is a device that dispenses pressure sensitive labels onto the top and bottom areas of a product at the same speed as the passing item. The actual application process is often referred to as a wipe on applicator or a co-speed dispensing applicator. When the speed of the label dispensing matches the speed of the passing item the label is applied smoothly and efficiently. Such labeling can take place on the top or bottom, or both. At Griffin-Rutgers we understand the intricacies of product handling necessary to make such a process simple and reliable because we have over 30 years of labeling system experience. 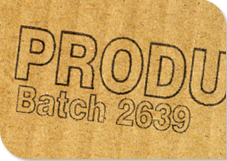 Call and tell one of our engineers about the packaging item you need to label and we will help you find the best system for your need and your budget. Please review the articles below for news about various types of Top & Bottom Labeling applications. If you have questions about the best system for your product labeling, call Griffin-Rutgers and allow us to apply our 50 years of experience to help you find a solution to your specific need.